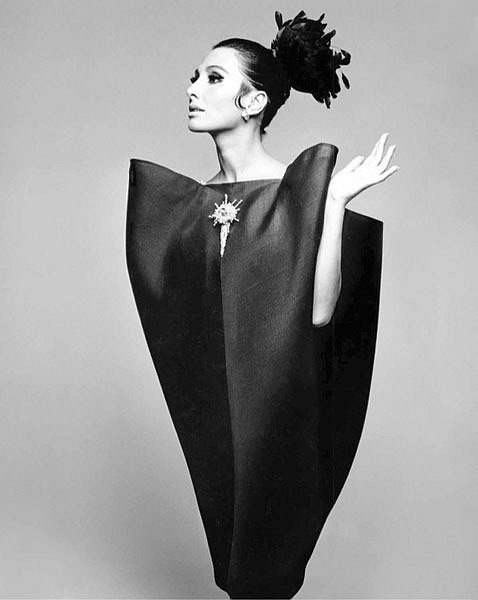 Alberta Tiburzi in Balenciaga. Harper’s Bazaar, 1967. Photo: Hiro (Yasuhiro Wakabayashi). Image via modeSPIRIT. 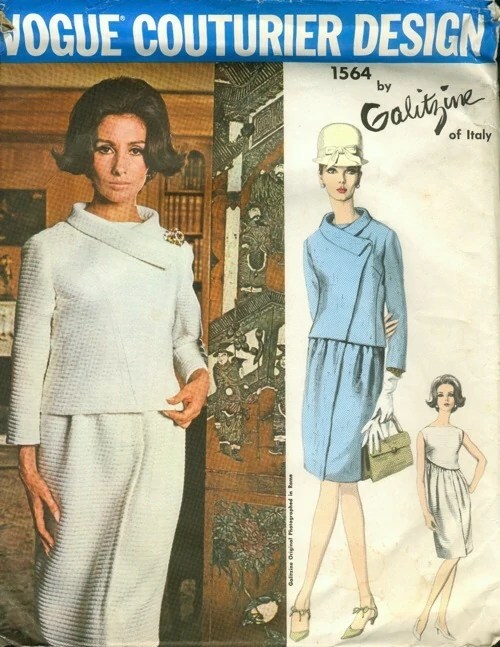 Vogue 1564 by Galitzine (1966) Image via the Vintage Patterns Wiki. 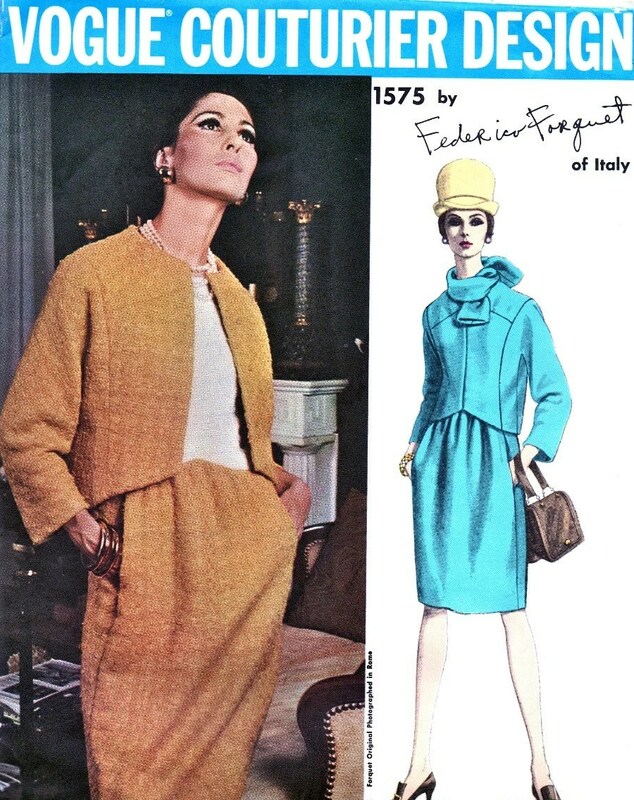 Vogue 1575 by Federico Forquet (1966) Image via Etsy. 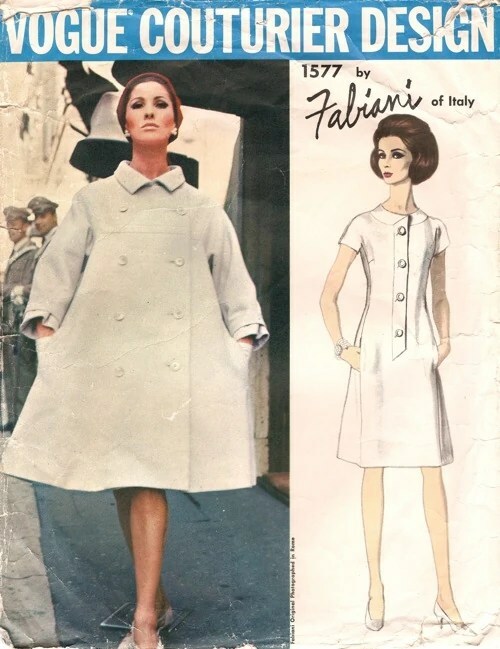 Vogue 1577 by Fabiani (1966) Image via the Vintage Patterns Wiki. 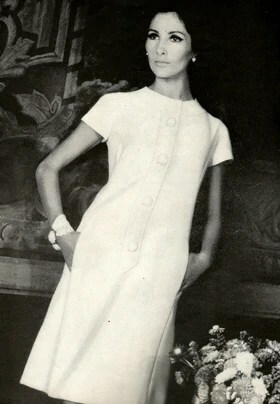 Vogue 1587 by Simonetta (1966) Image via Etsy. You can see a Hiro editorial featuring Tiburzi at Couture Allure, or click the models tag to see more posts in my models series. I love stories like this one. It puts a name and a real human behind the faces of the super models of their day. 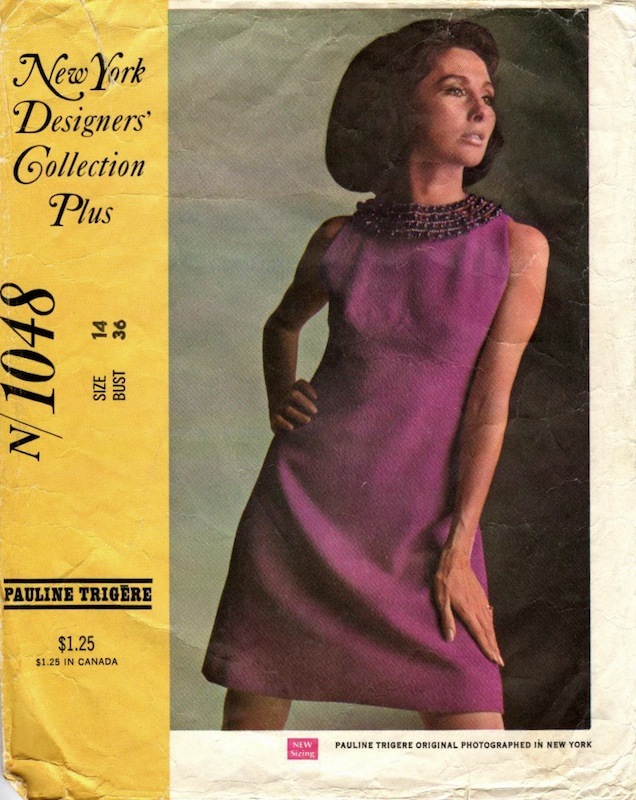 Makes me want to look at my collection of 60s patterns to see if Ms Tiburzi is on a pattern envelope. You’ve been on a roll the last few weeks! Love that first shot especially And PLEASE tell me your mum kept the suit?! Thanks, Heather! Yes, she did keep the suit. It’s pretty amazing.. 27 pattern pieces, lined and interlined, with some elaborate couture-style closures. Unfortunately it doesn’t fit me! but I was able to find myself a copy of the pattern. I’ve always loved that top photo, and the dress is one of my most favourite Balenciaga designs, but I never knew who the model was until now. Your mother’s suit must have been beautiful, especially in that fabric. It’s such an elegant design with flair. It must have been very inspiring as a child to know that your mother made such clothes for herself.